What Image Sizes Can I Deliver With CloudSpot? 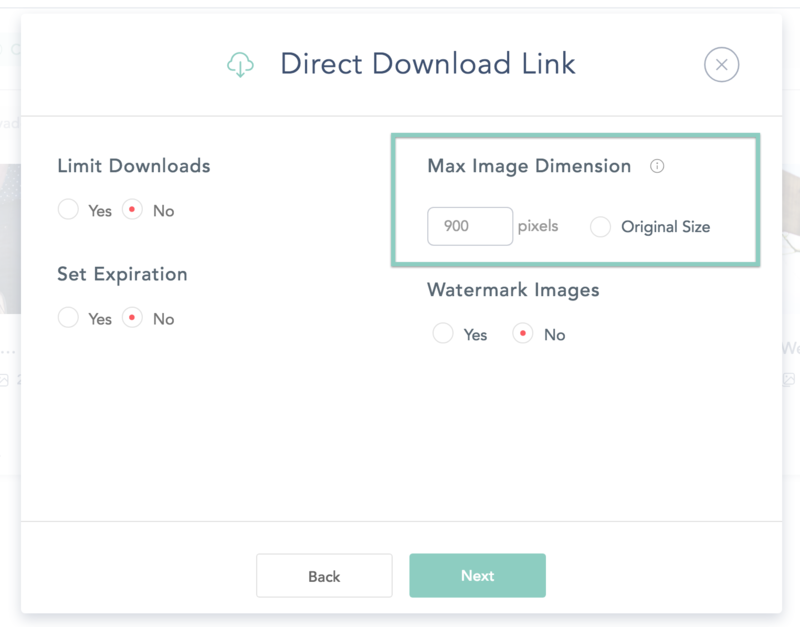 Setting the custom download size for images you deliver. You can send ANY size image instantly with CloudSpot with our paid subscriptions! Free users can send a max 3600px on the longest edge. Click here for information on how to upgrade your current storage subscription. For example, when sending a 5x7 size, you would input 2100 for pixel dimensions (7 inches x 300 DPI). Do I Pay Monthly or Yearly for My Storage?